U. S. industrial designer born in Forest Hills Gardens, New York as the son of his famous father. He graduated in engineering from MIT in 1930, but as a student in 1929, worked with his father in the design of the Marmon 16, introduced in 1932 by the Marmon Motor car Company. In 1934 he went to work with his father, and in 1935, designed the Model 100 for the National Cash Register Company with his father. 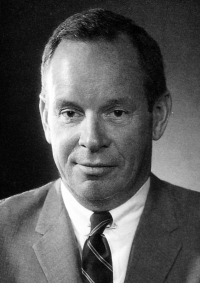 In 1942, he joined the Research Engineering Department of the Eclipse-Pioneer Division of Bendix Aviation as a junior engineer, and worked on the Boeing B-17 bomber. He rejoined his father’s firm in 1953 as a partner, and in 1957 supervised the design of the U.S. Information Agency pavilions at the Zagreb Fair in Croatia and the Vienna Fair. Upon his father’s death in 1960, he was number two in the office of Walter Dorwin Teague Associates (WDTA), and designed the Euphorian dental chair for the Ritter Company. He resigned from WDTA in 1967 to start his own business, Dorwin Teague, Inc., in Englewood Cliffs, New Jersey, specializing in industrial design and engineering, designing ski equipment, a bicycle brake, and snowmaking apparatus. He worked there until 1993.